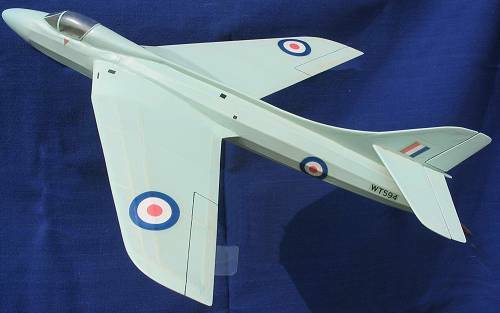 Yet another gallery of photos of Rapier powered scale models. You keep building them, and I will keep posting the pictures! 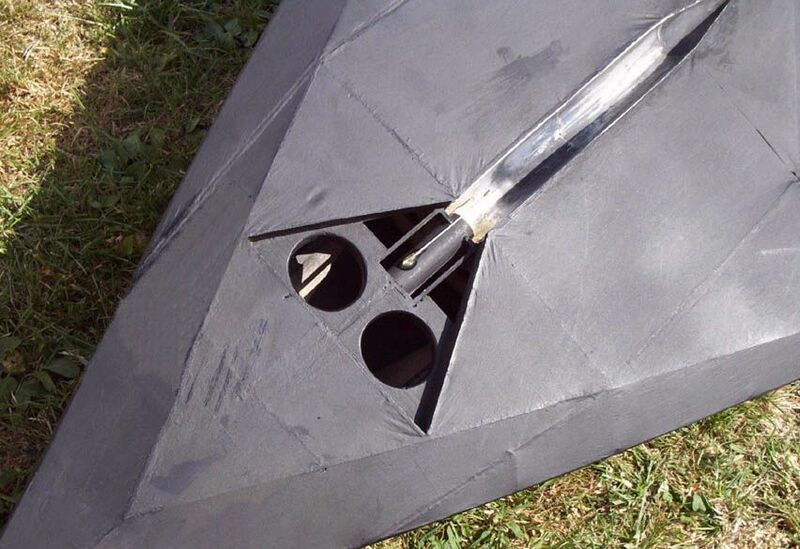 Graham Potter, rather bravely I thought, decided to try to modify the West Wings F.117 Stealth Fighter kit to Rapier power. As well as incorporating a motor trough, you can see in the photo below that he also put in a hand hold to help launch the beast. Wingspan is 15.5", Length 24" and weight 67gms without a motor. The model is very draggy and needs a Rapier L2HP rated at minimum 250 mN to get it to go, but it really does fly well, as shown in the following action shots. 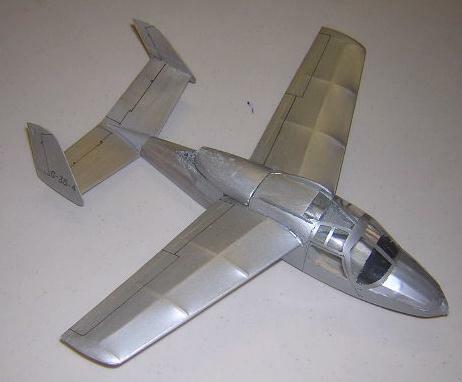 This MIG 15 was built by Chris Starleaf from the Easy Built Models / Aristo-Craft kit. 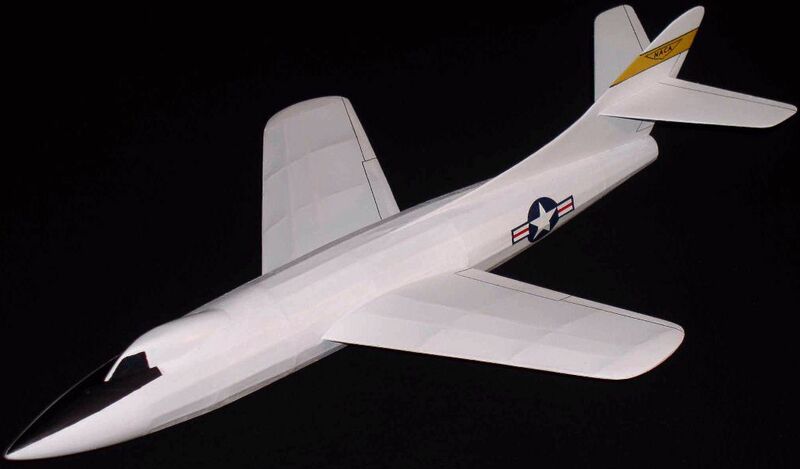 The wing span is 16 inches, and the weight a commendably low 22.5 grams, without motor. The kit is straight from the box, but Chris spent a lot of time on the details, and all those panel lines must have taken ages! I was delighted to receive these pictures from Hubert Kostrzewa, in Kracow, Poland. 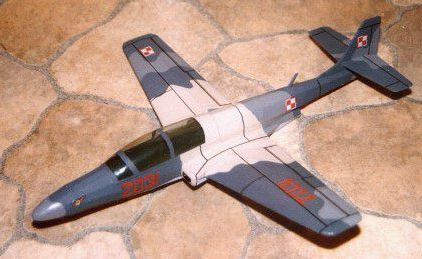 The photo above shows his model of the PZL TS-11 ISKRA BIS polish jet trainer. Scale is 1/32, wingspan 31 cm and length 35 cm. Power is from a Rapier L2, and you can see the motor mount and trough in the picture above. 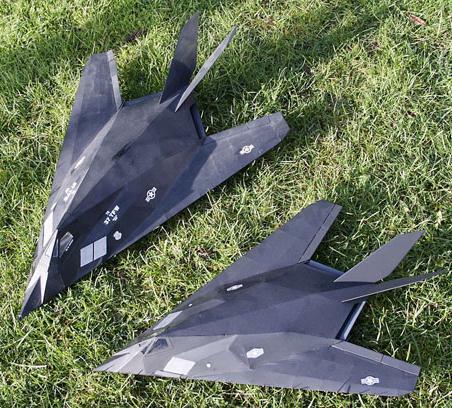 Flight trials are underway with more tweaks being made to the design. If it is successful, Hubert plans to draw up the plans for it, which would be great, as I think the Iskra is a very attractive subject. Hubert followed up the L2 powered Iskra with a bigger version for Rapier L3 power (it should also be OK with a Rapier L2HP). This one is the single seater variant, and has a span of 43 cm and a length of 48 cm. 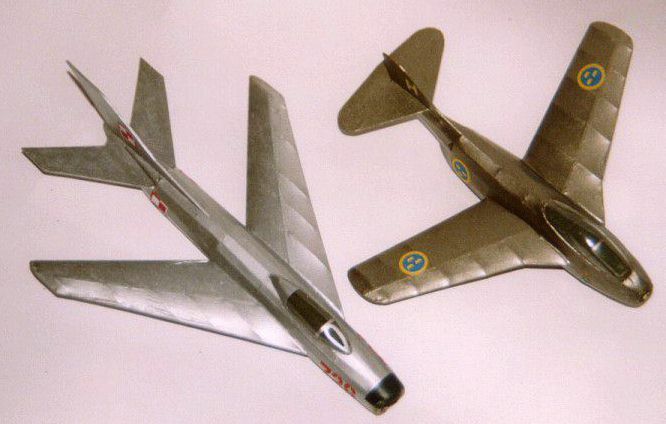 Here are two more of Hubert's Rapier models, a Saab J.29 Tunnan and a very sleek looking Mig 19, which is another of his own designs. After successfully getting his West Wings F.117 to fly, Graham Potter has now built a smaller version to use a standard Rapier L2 motor instead of the most powerful L2HP motor that the big one needs. This photo shows both models together. The perspective reduces the size differential but the smaller one is actually half the weight of the larger and glides rather well. I have now seen it in action and can confirm that a normal L2 motor does give enough power for excellent flights. 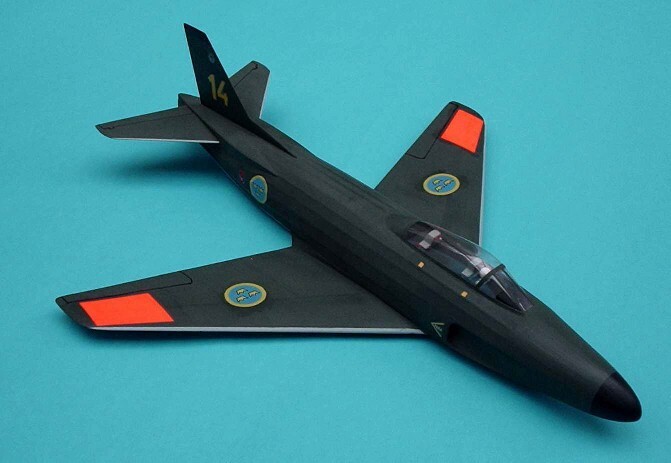 Lovely workmanships and an immaculate finish in evidence on this Saab J-29 built by Sten Persson from Sweden. The photo is pretty impressive too! The model is built from the plans on this site but enlarged to 35 cm span. It flies well in a lively fashion with a 105 mN rated Rapier L2, but Sten will be trying it with L2LT power as well, which should be more relaxing. 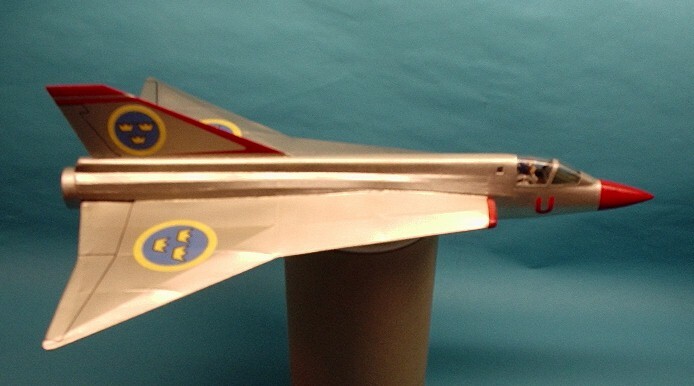 Continuing the Swedish theme, here is a Saab Draken by Chris Strachan. This is built from a Swedish plan designed by Sigurd Isacson and Bjorn Karlstrom. 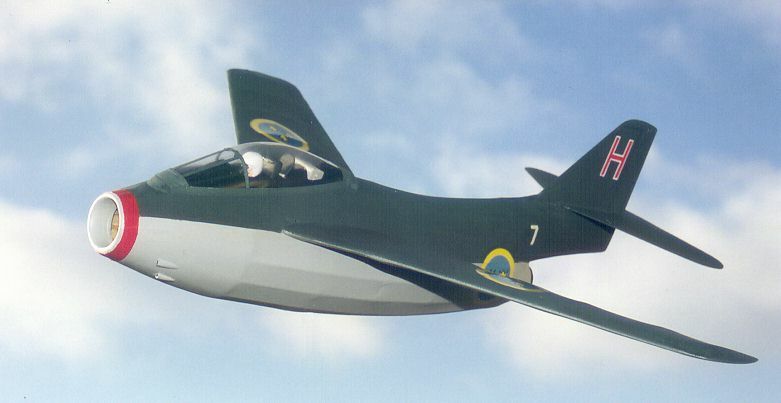 The plan is based on the first prototype Draken, which differs from production versions somewhat. Chris reports that the first flight with an 85 mN rated L2 Rapier was a complete success, with a big left hand circuit. He did not risk a second one! I saw the model in Action at Old Warden in 2004, and it put in some great flights. On the last flight of the day it accelerated off downwind at a huge rate of knots, and we all lost sight of it as it headed for the airfield boundary. Despite having a good line on it, the model unfortunately could not be found. Chris Strachan has also built this very attractive Saab Lansen which is his own design. One interesting feature is the wide trough, and modular motor mount system, which allows either one or two Rapiers side by side to be used. 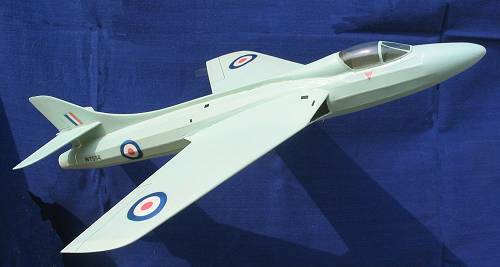 Roger Simmonds decided to have a go at the Skyleada Hawker rather than the more common Keil Kraft one, and this delightful model is the result. Roger added an extra stringer here and there, and sheeted the nose back to F2 and the wing roots, but apart from the 'no dihedral' it is pretty much built as plan. All up weight is 35g, so about right for L2/L2HP. 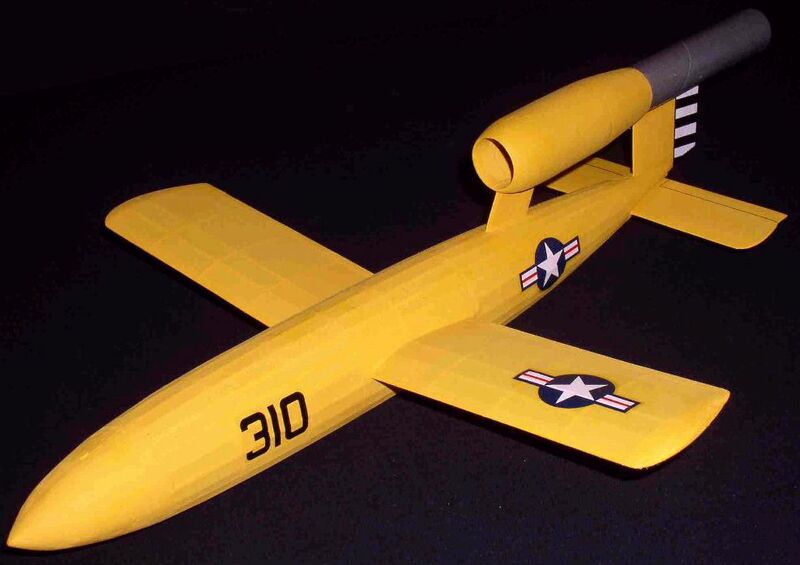 It was trimmed with catapult launches until the glide looked good, and I have now seen it make sucessful flights. 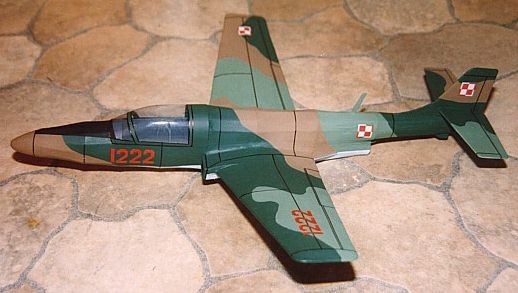 Here is another of Hubert Kostrzewa's models - a self-designed Grumman A-6 Intruder. The scale is 1/45, length 37 cm, wingspan 36 cm and it weighed 21.7 grams before painting. It is designed for the Rapier L2 motor. 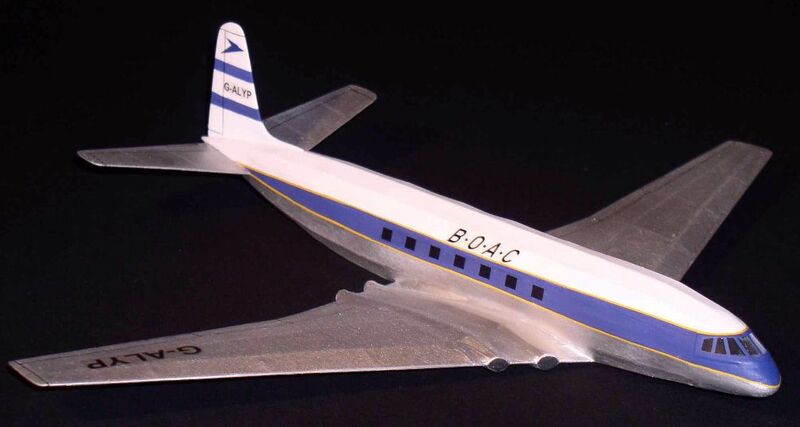 Model was painted with Humbrol enamels and used home made decals excelt the painted lettering. Panel lines were made using a special pencil. Fantastic looking new Rapier twin from Peter Smart - a Yak 28P Firebar. The motors are carried in troughs under each nacelle, but you cannot really see this when the model is in the air. I was glad to be at Old Warden to see its first flights, and after some careful trimming from Pete, it made a great flight in windy conditions at the end of the day. The Miles Student is an extremely cute aircraft that is on my list of future Rapier projects, though Peter Smart has beaten me to it. His is designed for Rapier L1 power, and features a removable engine cover held on with magnets. This is lined with a piece of foil that is easily replaced when it gets too blackened. The intake at the front is open to allow air to flow over the motor. 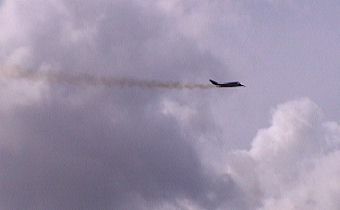 It does fly, though when I saw it, the wind was a bit too strong for such a small model to perform as well as it can. 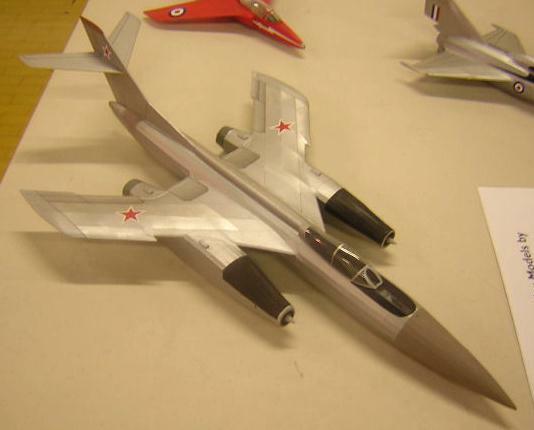 Steve Bage has made a lovely job of this Sukhoi SU-11 - a slightly enlarged version of Richard Crossley's design. Wing span is 11” and overall length 21.25”. Weight is around 30 grams and power is L2HP Rapier. The paintwork is airbrushed enamel thinned with cellulose thinners. Nice photo too! Steve found the optimum balance point of this design to be about 50% of the root chord, and in fact made a new lighter nose cone to avoid having to add tail weight. 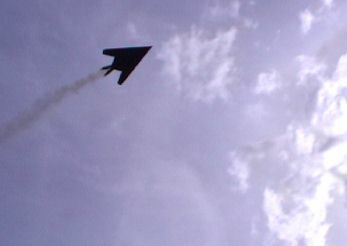 The model now has many successful flights under its belt, though it needs a high powered L2HP to really get it going. Encouraged by this, Steve has now designed several of his own scale jets for Rapier power, and you will find plans for two of them elsewhere on this site. 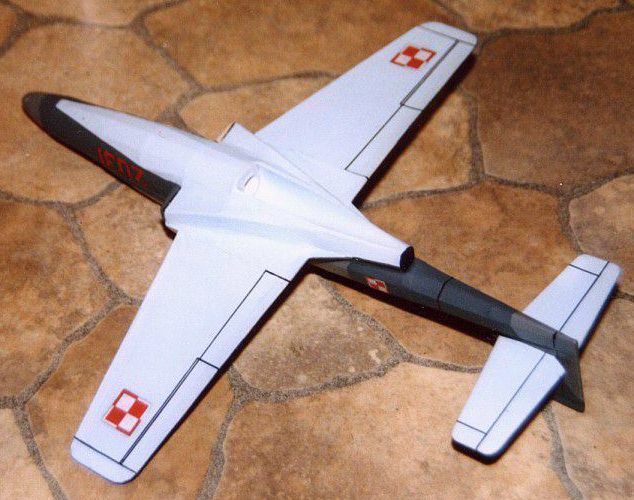 Adam Jenik from the Czech Republic sent me some photos of his latest Rapier powered models, including this Excellent D.H.106 Comet 1, which is a slight reduction (95%) of the Skyleada plan for Jetex 50. I think we should see more models of airliners in the air as they make very pleasing subjects. 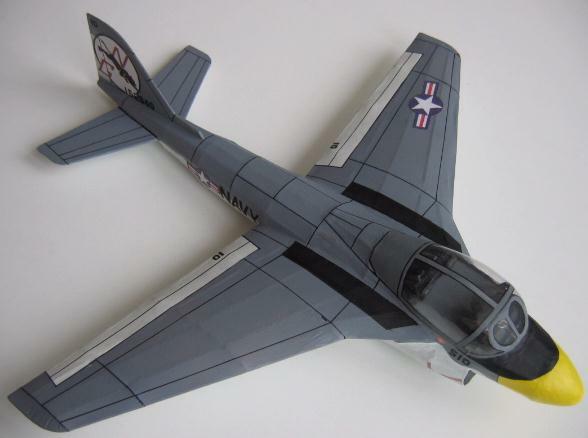 Adam has also built this Douglas D.558-2 Skyrocket from Richard Crossley's plan for Rapier L2 power. Very nice clean finish, and should be a great flyer. Final model from Adam is this JB-2 Loon, based on Richard Crossley's V-1 design - also for Rapier L2 power.